At Sapcote’s we’re capitalising on the sector’s exciting growth by obtaining freehold premises in prime restaurant locations across London. We began with Nandos in Hammersmith, then a Wahaca Mexican restaurant in Islington, joined by a MasQMenos Spanish tapas bar in Soho. 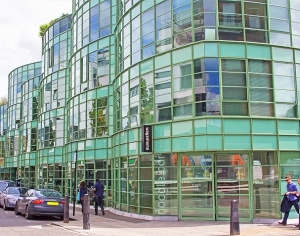 Now we have added a Wagamama’s Japanese style restaurant in Camden to the Sapcotes restaurant portfolio. Figures recently released confirm something that perhaps our waistlines have been telling us for some time – we’re eating out more than ever. Despite the economic downturn we’ve continued to dine out, with turnover in the UK restaurant sector up 39% since 2010; a sign of the resilience of the industry – and our reliance on being well fed! The upturn in confidence has helped boost existing restaurants and spur a boom in new restaurant openings. John Eckbert, UK managing director of Five Guys, told the Financial Times that they would have three times as many restaurants in London if they could find the right sites. “It’s just hand-to-hand combat to get great sites,” he says. Like everything else we do at Sapcote’s, our approach to these acquisitions has been a breath of fresh air. Because we’re a family-run business, we’re not bogged down by a long chain of decision makers, or answerable to fund managers and investors. When we see an opportunity we move quickly and we keep our word. We have finance readily available and we’re flexible and agile enough to complete a deal in just 7 days – from initial details to completion.